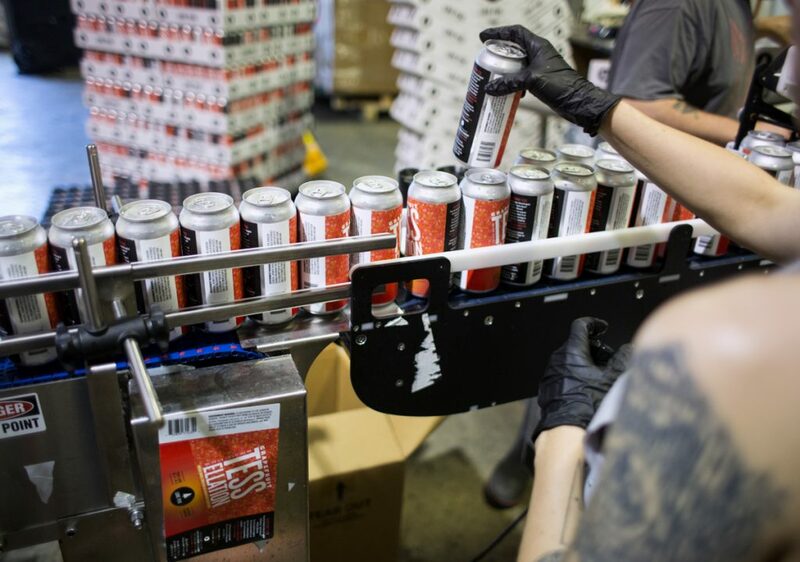 The company expects to easily quadruple production again this year, which would make it one of the 10 largest breweries in the state. GORHAM — The grain tank outside Lone Pine Brewing Co.’s new location features a big logo on its side – the one used by the building’s previous occupant, Sebago Brewing. But the owners of Lone Pine are too busy managing their company’s skyrocketing growth to worry about those kinds of details. Lone Pine’s production grew 376.6 percent in 2017, according to data provided by the state. Co-owner John Paul says the brewery will easily quadruple its production again in 2018, which would make Lone Pine one of the 10 largest breweries in the state. “We’re testing the ceiling in Maine,” Paul said. And it’s coming at an unusually fast pace. 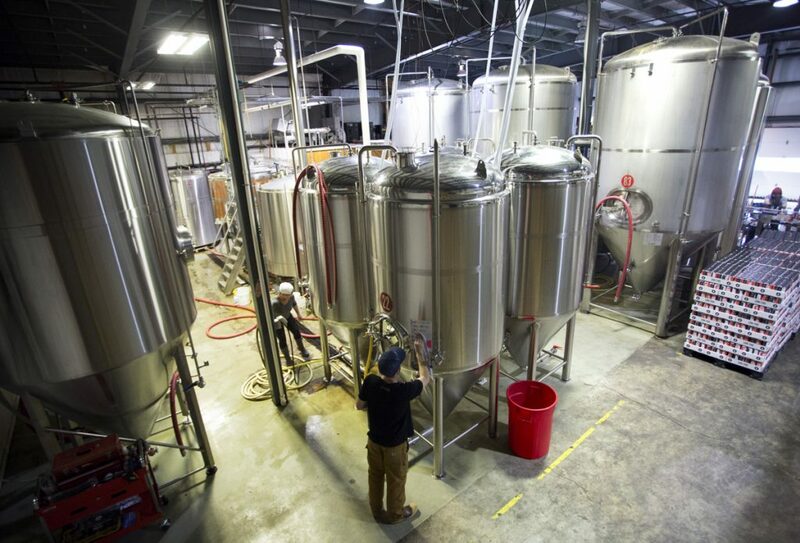 The brewery opened 2½ years ago in a small spot on Portland’s Anderson Street. 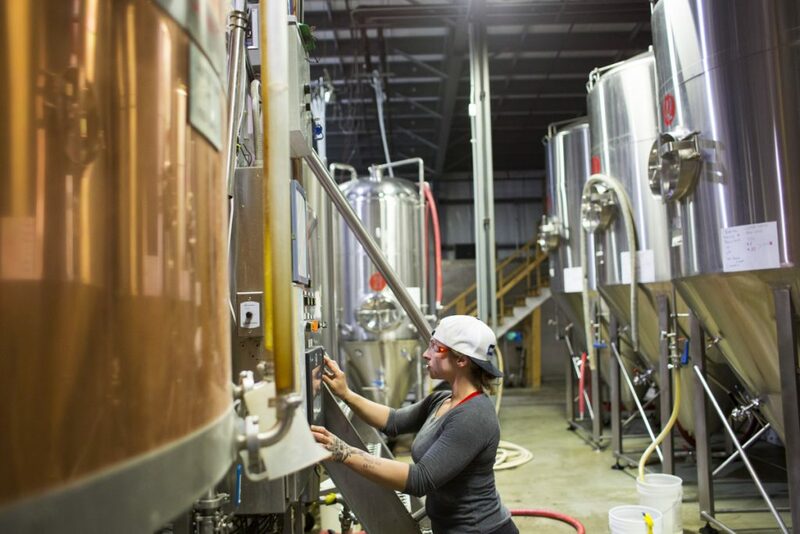 With just a five-barrel brewhouse and a few fermenters, Lone Pine quickly took over draft lines in local restaurants by routinely delivering the same style of beer over and over again. It’s a business model that helps Lone Pine stand apart from so many other players in the Portland craft brew scene. While breweries typically make a handful of beers when they open, Lone Pine made nothing but its flagship Portland Pale Ale for its first six months. That allowed the brewery to establish business relationships with many local restaurants, most of which need the reliability of offering the same beers to patrons on a regular basis. It is brewing about a dozen varieties now. 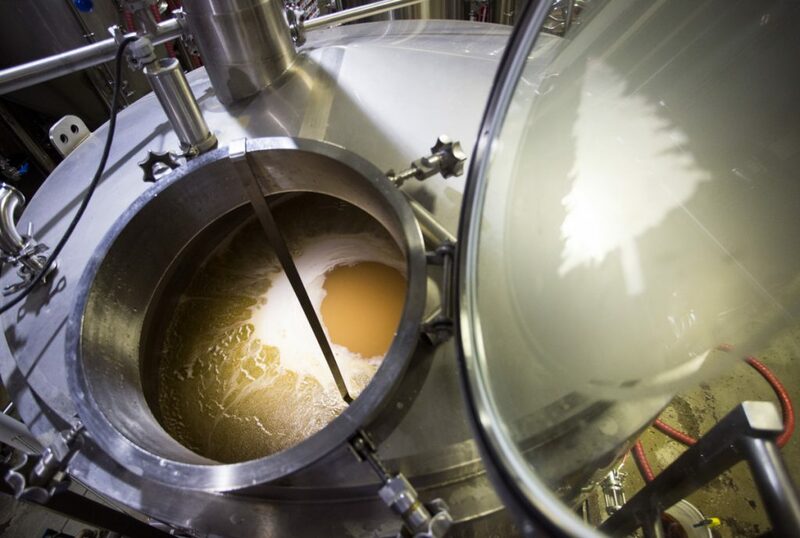 Once the brewery added larger fermenters, brewers had to work 22 hours straight to fill the larger vessels and keep the Portland Pale Ale flowing. But that kind of time won’t be necessary at the Gorham location. Lone Pine moved into its new spot this winter, when Sebago opened a destination brewery a short distance away. Now consumers can find Lone Pine beer on the shelves at Hannaford and at Portland Sea Dogs games. Lone Pine plans to expand its reach in northern Maine, but the owners don’t expect it to be easy. “It’s going to be hard. Each new market is going to be harder than your local market,” Paul said. 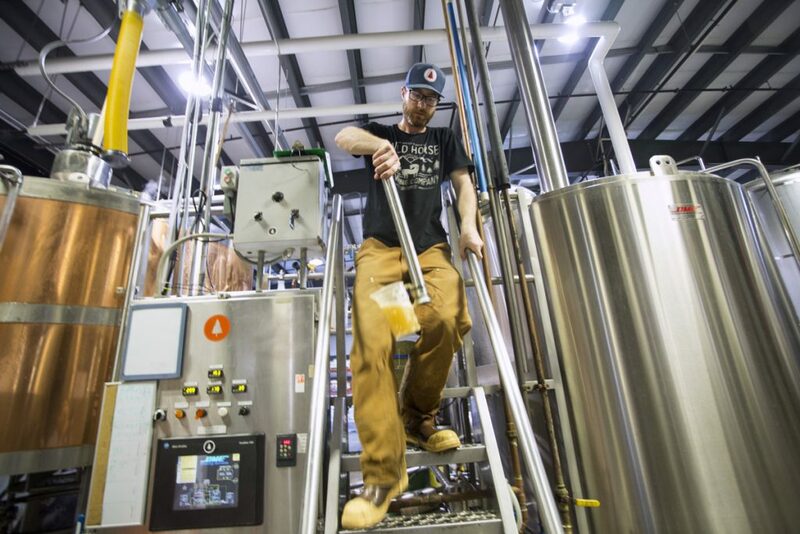 The problem that larger brewers face, Madden said, is consumers want locally produced beer. And the definition of “local” is getting closer and closer to home. 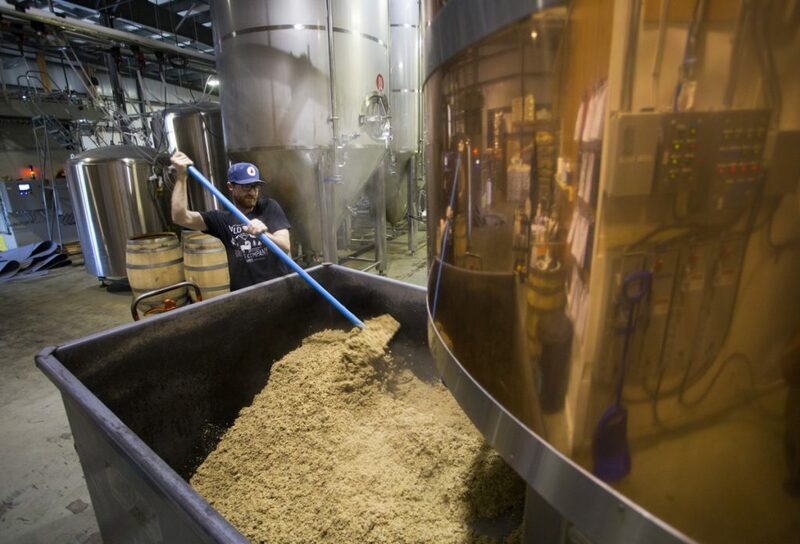 Ten years ago, Portsmouth’s Smuttynose might have been considered a local brewery. It was sold in bankruptcy court in March, its production cut to half its capacity. “It’s going to be more turbulent the farther away from home you are,” Madden said. In an effort to protect its home turf, Lone Pine’s original Anderson Street location is still open. There is no tasting room in Gorham – at least not yet – so the Anderson Street spot is a place where Lone Pine can serve up its rare beers on draft and offer can sales. 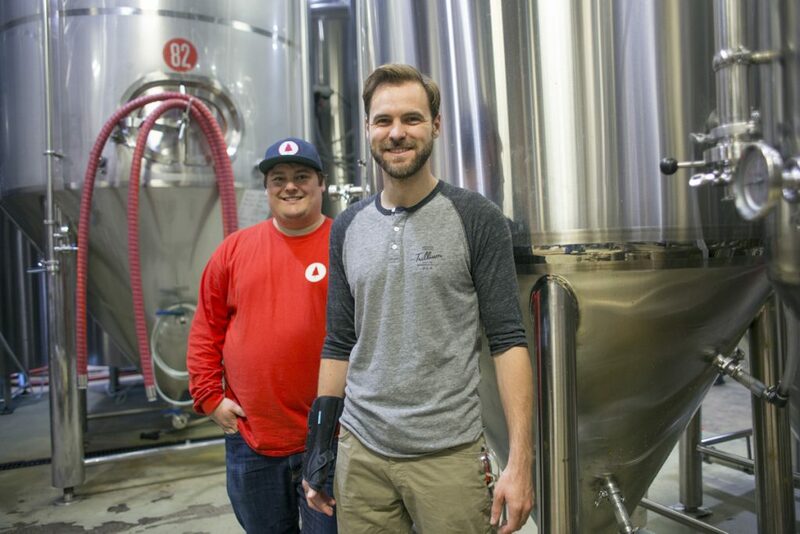 Madden laughs as he talks about brewing at the old location, with people leaning over the railing and yelling, “Hey, what are you making?” while he was trying to work. “Now we’ll just be able to work,” he said.